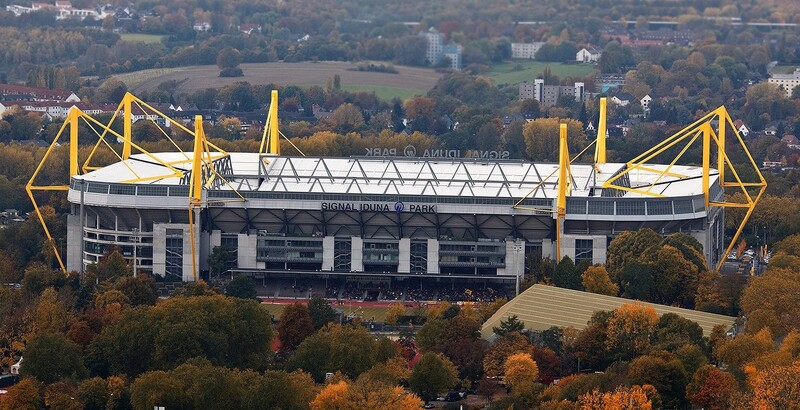 In Dortmund they're hoping to host games up to semi-final level of Euro 2024, awarded to Germany in late September. 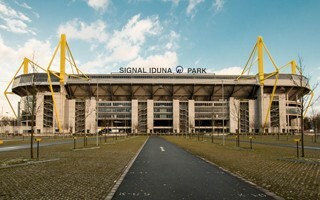 But even with such expectations neither the city, nor BVB are willing to spend big on hosting. Instead, they're gradually improving their stadium as they've been doing in previous years. In 2015 the west stand was expanded by new pavilion outside, in 2018-19 renovation of the eight yellow pylons is ongoing. 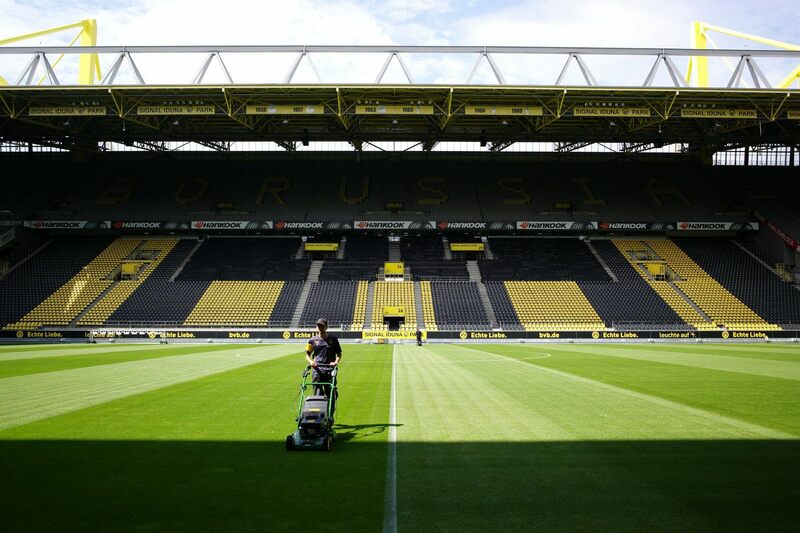 Next year BVB will install brand new floodlights to match the UEFA-preferred and more efficient LED technology. With investment of €1 million, this will be the most expensive element expected to come ahead of Euro 2024. If they wanted, there's a lot more that could be done. Ahead of Euro games the mixed area, press working area and hospitality zone are all insufficient, however locals plan to relocate each of these spaces outside the stadium. The mixed zone, interview areas and press conferences will be pushed east, to Stadion Rote Erde. Areas for the press, accreditations and volunteers should be housed by the Westfalenhallen complex, just north of the stadium. VIP tents, usually placed beside the main stand, as they were during the 2006 World Cup, will this time have to be scrapped. Reason? Trees were planted across the western parking lot and locals don't want to cut any of them down. 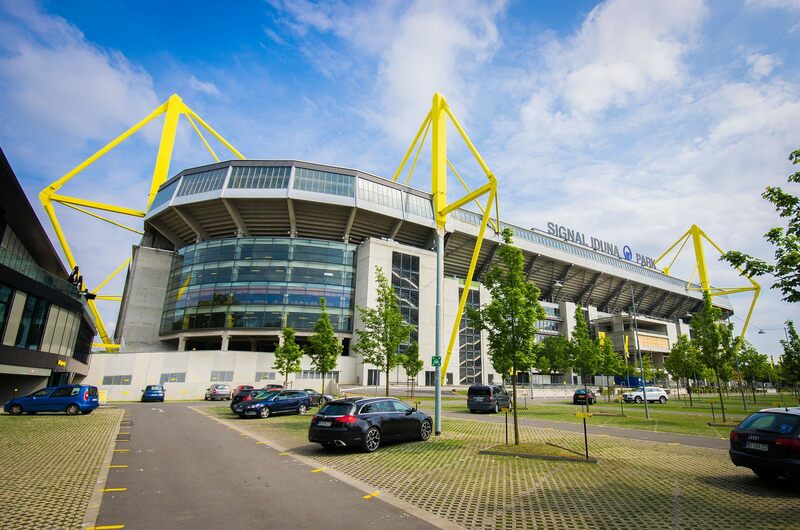 This might be problematic as UEFA is known to lobby strongly in favour of the VIP areas, but in Dortmund they're hoping that housing VIPs within Westfalenhallen will probe sufficient. As for the stadium itself, it should only see temporary changes, aside of the aformentioned floodlighting. This includes installation of seats at the massive Südtribüne. On top of the stand temporary tv studios should be mounted, while expansion of regular press section is also planned for the several weeks of 2024.